Hand washing is the best weapon against illness, yet as many as 25 percent of Americans don’t lather up after using the restroom. Those people then touch doorknobs, elevator buttons and other communal spots, leaving behind germs for others to unknowingly pick up. The phenomenon of spreading bacteria from place to place (or person to person) is called cross-contamination and it has long been a hot-button issue in healthcare, foodservice and education markets. Unfortunately, it receives less attention in commercial offices. Janitors play a critical role in cross-contamination. They can either dramatically improve or drastically reduce a facility’s healthfulness. Unfortunately, building service contractors often contribute to cross-contamination, especially in office spaces. While hospital janitors always learn about preventative methods, commercial cleaners rarely receive such training. Without education, janitors can make potentially harmful mistakes. For example, a common approach to restroom cleaning is to clean the toilet first — after all, it’s the first thing a janitor sees — and then use the same rag to wipe off other surfaces. Or, a janitor may do everything right but forget to clean an important touch-point, like the latch on the back of the stall door. Cleaning for health (and being a client’s partner in cross-contamination prevention) requires a BSC to spend time and money on training. “All of our employees are trained on hospital-grade cleaning, whether they are working in a hospital or in a commercial office space,” says Jim Thompson, president of A-1 Building Services Inc., in Byron Center, Mich. The first step in stopping cross-contamination is to identify all of the touch points in an office environment. Any surface that is touched by more than one person can be a breeding ground for germs that will pass from one person’s hands to another’s. Restrooms and kitchens are obvious areas because moist environments encourage bacterial growth. These rooms require special attention, particularly to such often-overlooked surfaces as coffee pot handles, microwave buttons and light switches. Other critical areas in office buildings include handrails, elevator buttons, tabletops and door push plates. Keyboards and phones in shared spaces are also repositories for germs. Frequent cleaning of these touch-points is critical but is only effective if the janitor is using the appropriate tools in the correct manner. Traditional rags and mops actually contribute to cross-contamination because they spread dirt and germs around. It’s important to use cleaning products that trap dirt so it can be removed. Key equipment includes microfiber cloths, bucket-less mops (or dual mop buckets), backpack vacuums with HEPA filters and restroom cleaning machines. Another key element is color-coding, a system that labels tools by usage. For example, a red microfiber mop is used only in restrooms while a green one is just for foodservice areas. The simple system can be understood by non-English speakers and prevents a rag contaminated by a urinal from later being used on a desk. “It helps our staff remember which tools get used where and it helps the building occupants feel better that we’re doing what we should be doing,” Hargis says. Investing in all the right tools won’t make a difference, however, if the staff doesn’t know how to properly use them. Janitors need to understand that disinfectant must sit for 10 minutes to be effective and that microfiber cloths have a finite life and have to be turned over or changed after so many uses. Likewise, mops aren’t effective if the water in the bucket isn’t clean. Customers also need training. Most owners and operators of commercial offices have never even heard of cross-contamination and they certainly don’t understand how to prevent it. Without a thorough understanding of the risks, they won’t sign on to spending more time or money on prevention. Making the necessary changes in equipment, training and frequencies comes at a price. But advocates of cleaning for health say savings from improved efficiency help offset any additional expenses. For example, ISSA lists microfiber mopping as 54 percent faster than string mopping and, Sheldon says, microfiber products have a much longer lifespan than traditional materials, which saves on re-orders. If the ugly truth about cross-contamination isn’t enough to convince clients to upgrade their cleaning methods, BSCs can sell them on cost savings in the form of reduced absenteeism. When A-1 Building Services took over cleaning for a large corporation with shared workspace, Thompson was able to help the company reduce absenteeism from 40 to 60 percent down to 12 percent. Every year, about $150 billion is spent in this country on sick days; making even a small dent in that number can result in huge savings. Hands are the greatest disseminators of germs. Building service contractors can help customers reduce their risk of cross-contamination by making hand washing easy and accessible. Soaps and hand towels should be placed in easy-to-reach spots and kept well stocked. 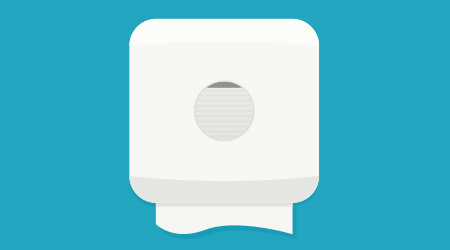 BSCs can help customers identify popular products that are most likely to be used, such as foam soaps, and they can install hand sanitizer stations in strategic locations, for instance near copy machines or in breakrooms. BSCs can also ask their vendors for signage and literature about the importance of hand washing and share the information with customers and building occupants. Janitors’ own hands can contribute to cross-contamination, too. They should have hand sanitizers on their carts and they should wear gloves while cleaning and change them as they move from one space to another.